The Metro games have been going strong since Metro 2033 launched back in 2010. This was a first-person action game set in post-apocalyptic Russia, and was lauded back then due to its great atmosphere and fun gameplay despite its punishing difficulty. Developer 4A Games released a more accessible follow-up titled Metro Last Light in 2013, also a post-apocalyptic game set in former Soviet Russia, which like its predecessor also boasted some of the prettiest graphics around. And no doubt the upcoming Metro sequel shown off at E3 2018 also looks like it will have great visuals, as well as building on the gameplay foundations of the earlier games as can be seen in the gameplay video below. Also interesting is the fact that Metro Exodus will be a less linear game than its predecessors, and feature vast open levels as the one showcased in the video, which according to 4A Games is bigger than anything seen in 2013’s Metro Last Light. But despite there being large open spaces to enjoy here, there will also be sections in which stealth will be the key to survival, and turning off light sources such as lamps in order to reduce visibility and catch enemies off guard could be a lot of fun in this game too. The supernatural enemies seen in the earlier Metro games return as well, and at one point protagonist Artyom is seen navigating claustrophobic corridors and later ambushing a mutant creature in the video. This looks like it will offer plenty of gameplay choices overall too, and for instance it will be possible to mod your weapons in the game your heart’s content with plenty of add-ons. Additionally, something Metro fans will appreciate is that this new game will allow you to craft certain items on the field, such as gas mask air filters. 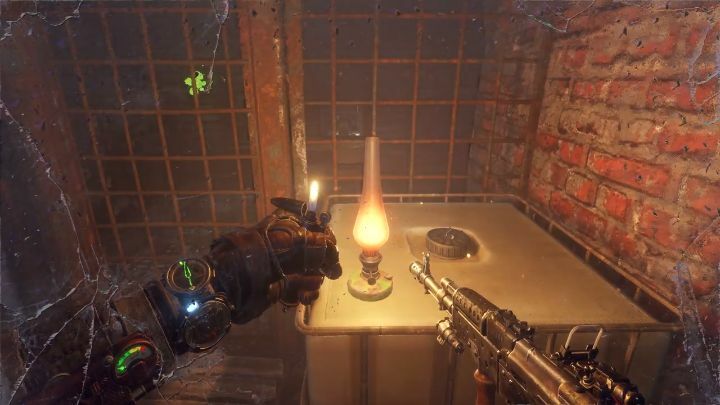 This could be a godsend for Metro Exodus players, because like in the earlier games wearing a gas mask in the game will be necessary to make it through certain sections alive. The air filter had a limited time duration though, so being able to craft these on the go could make these bits of the game easier to play through. So, will Metro Exodus turn out to be the best game in the series when it ships early next year? This remains to be seen, but for now it’s clear this has the potential of being one of 2019’s top video games no doubt. Note: Metro Exodus will be released on February 22, 2019. Available on PS4, Xbox One and PC.